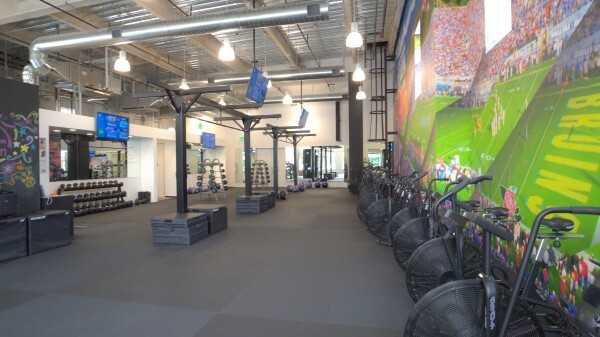 Pasadena, CA – July 2017… Known for efficient, focused, high-intensity workouts, Basecamp Fitness maintains three popular locations in Southern California and two in Northern California. High-energy music helps fuel workouts at these centers; at the same time, patrons need to hear their instructors clearly. That’s a lot to ask of a sound system, so when the old systems in the three Southern California locations proved inadequate, the company brought in respected Orange County, California, design/build firm Tekworks. Tekworks came through with a complete solution based on Renkus-Heinz IC Live Gen5 loudspeakers. IC Live Gen5 arrays employ a slim, low-profile enclosure that enables them to blend visually into the background. But while they may be all but unseen, they are most certainly heard, delivering up to 108 dB SPL of clear, clean audio from 80 Hz to 20 kHz. Horizontal dispersion is 150° up to 3 kHz and 120° above 3 kHz, providing the broad, even coverage Novak sought. The aiming angle can be precisely adjusted from -30° to +30°, enabling Novak to focus the beams exactly where needed in a challenging acoustical environment.